If you haven't heard of Kerbal Space Program, the gist of the game is this: You play the role of NASA or SpaceX to design, finance, build, launch, and control rockets, spaceships, robots, and astronauts that explore the solar system. It sounds like a great idea that ends up being boring in practice, but they somehow figured it out — Kerbal is extremely fun. I've been watching the game evolve since it debuted. I'm really cautious about playing games because I get obsessed and they take up all my free time (to the detriment of other things, like open source projects and my social life). But this summer I was looking for a new way to chill out. I decided it was finally the right moment to start playing. 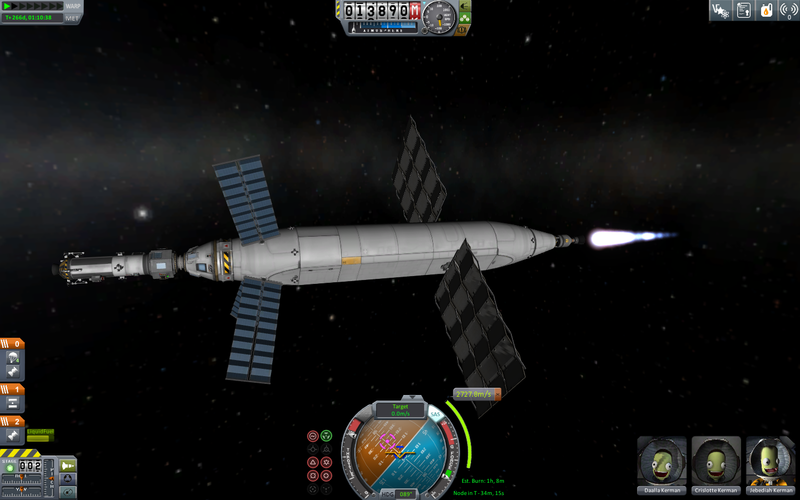 Kerbal's graphics aren't the best, but the physics engine is great. 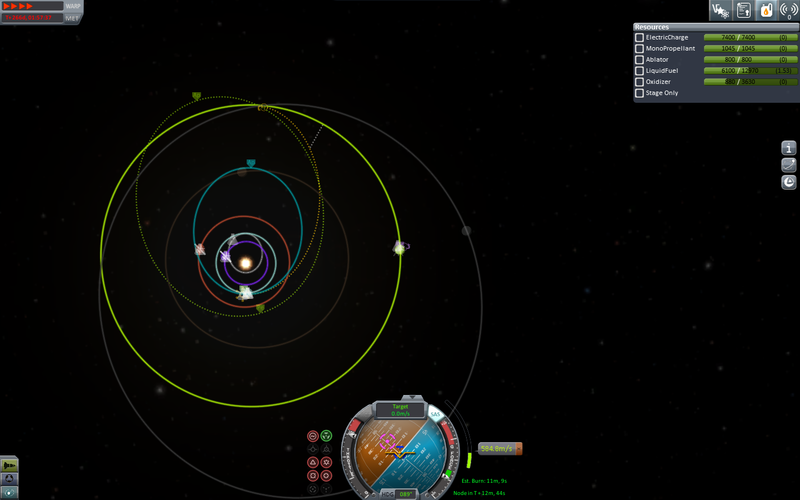 You learn a lot about orbital mechanics by playing. In career mode it's a very difficult game. To get better at it, I spent a lot of time reading the Kerbal Wiki, watching walkthrough videos by Scott Manley and Billy Winn Jr, and enjoying the Kerbal subreddit. Did you know that Elon Musk plays Kerbal, too? It scratches a similar itch to Sim City and Civilization. But it also feels like Minecraft in how creative and arbitrary the game is. I haven't even begun to explore the tremendous Kerbal mod community that exists. Here are some screenshots from my most recent accomplishment in the game: going to Jupiter ("Jool"), landing on two of its moons ("Bop" and "Pol"), and making it back to Earth ("Kerbin"). And finally, here's what it looks like when the astronauts ("Kerbonauts") make it back home safely. Succeeding in getting them home is one of the best parts. 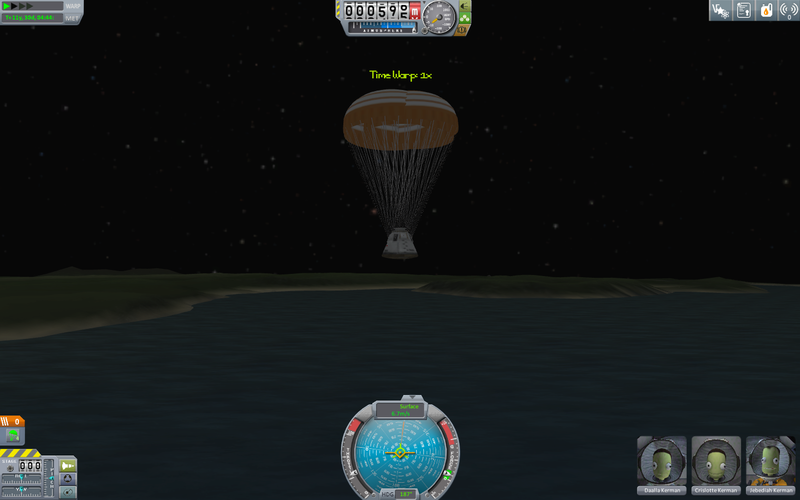 (This was a night landing because I ran out of fuel and had to rely on aerobraking to slow down). I've barely scratched the surface of this game. I can't recommend it enough. But don't blame me if it ruins your life, too.